Carrie Underwood attends the 2018 CMT Artists of The Year at Schermerhorn Symphony Center on October 17, 2018 in Nashville, Tennessee. 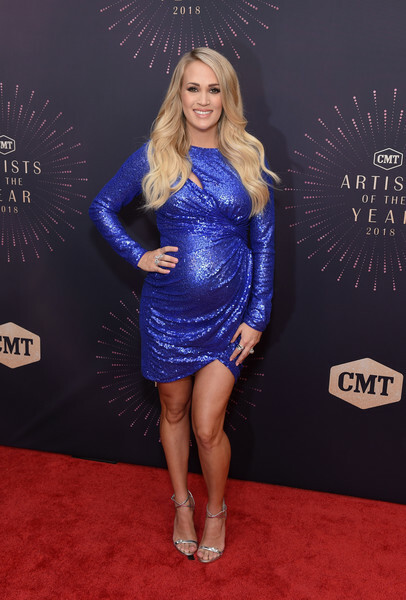 Carrie Underwood looked dynamite in a royal-blue sequined maternity dress by Tadashi Shoji at the 2018 CMT Artists of the Year event. Silver cross-strap sandals by Giuseppe Zanotti polished off Carrie Underwood's look.